First impressions by Matt C.
After plenty of anticipation, Final Fantasy XIV: Stormblood is finally here, bringing with it new areas to explore, new jobs to level, and a new chapter in the story of the Scions of the Seventh Dawn. I'll have a full review together in a few weeks, when I've had time to check out all that the expansion has to offer; until then, I'll write up my in - progress thoughts with these little diaries and screenshot galleries. 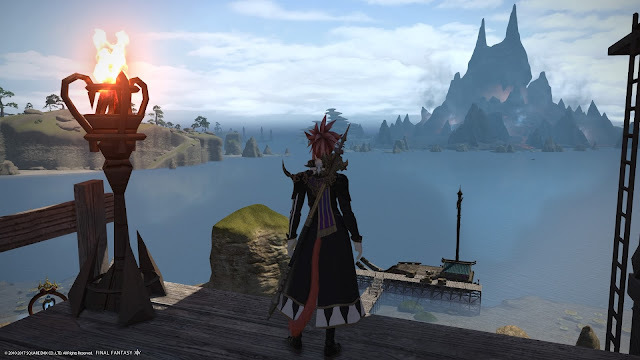 As is often the case with expansions, Stormblood got off to a rough start in terms of server stability, so I haven't been able to pay as much as I'd have liked to. My server wasn't too bad when it comes to queues and disconnections, but I still fell victim to what’s come to be known as the “Raubahn trial”. 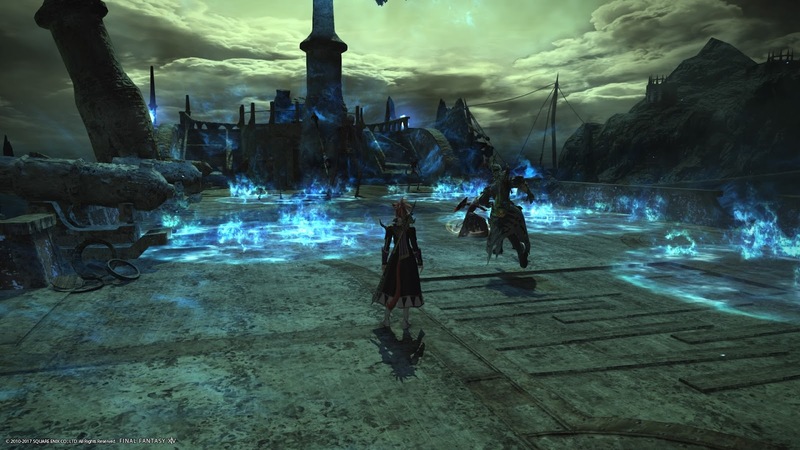 In short, a main story quest about an hour or so into Stormblood involves an instanced battle, and the instance server couldn’t handle the load of hundreds of thousands of players all trying to do it at once. Unless you were really lucky, starting this quest just lead to an error, so for the first few days, most people weren’t able to get very far at all into the new areas, myself included. 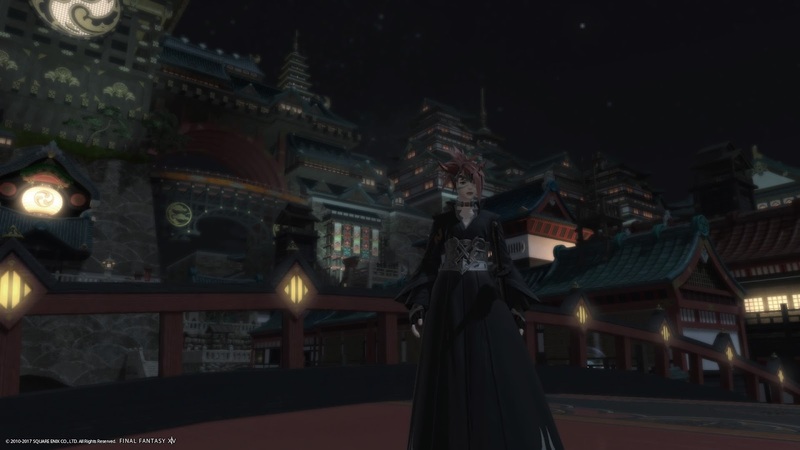 With the time I couldn’t progress through Stormblood proper, I took to levelling my Samurai. It seems like an interesting job; not dramatically different from other melee damage dealer classes, but with enough of its own visual flair to feel unique nonetheless. Thankfully, Samurai isn’t position-dependent in the way that Dragoon and Monk, and seems to involve more intricate resource management as you juggle two separate Job Gauges – Sen and Kenki. 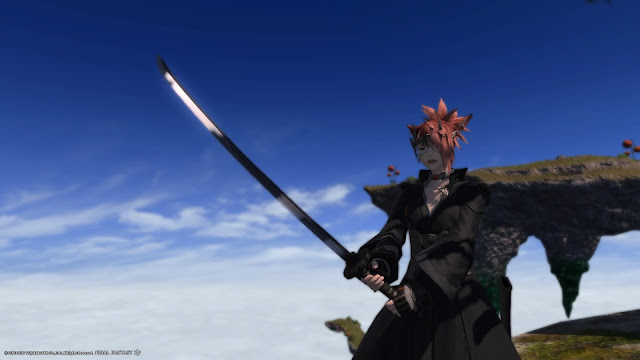 Judging from other Samurai I’ve grouped with in level 60+ dungeons, they can do some big damage. I’m not that interested in damage classes, but this is one that I could see myself taking through to 70 and playing at endgame as an alternative to my White Mage. When I finally got past the Raubahn trial, I was able to start really enjoying what Stormblood has to offer. 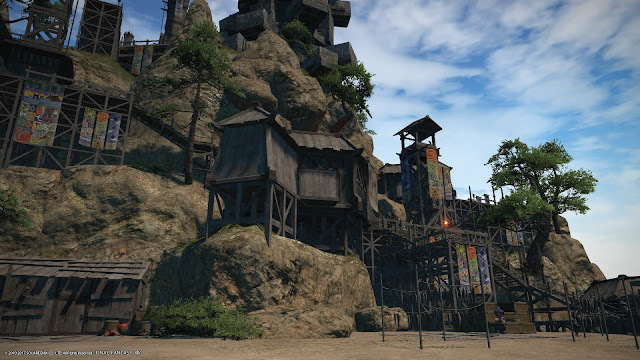 The focus is once again on the fight against the Garlean Empire, as the Scions resolve to help two subjugated nations – Ala Mhigo and Doma – fight for their freedom. What I’ve played so far is mostly just laying the groundwork for the story ahead, as the Scions work to find allies in these regions and spur the fires of rebellion. I’ve also caught a glimpse of a couple of the villains, one of whom is truly terrifying. What little plot development I’ve seen is more than made up for by the chance to visit these new areas. As the first part of Stormblood you step into, Ala Mhigo is a bit underwhelming, especially compared to all the flashy pre-release advertising. As highland area covered in dry forests and rocky outcrops, it comes across as a less lush take on Gridania with a bit of Ul’dah thrown in. 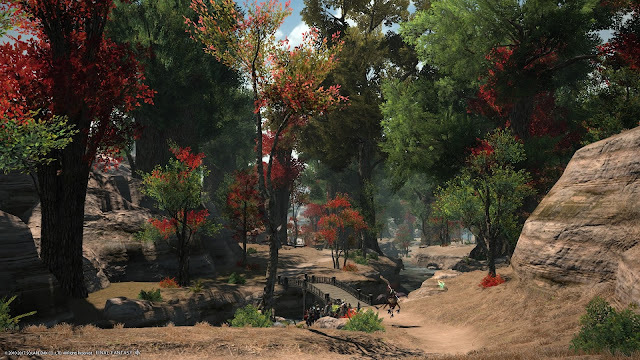 When you look closer, though, Ala Mhigo has its own kind of muted beauty; if Gridania is spring, Ala Mhigo is autumn, complete with red-leafed trees and stunning sunsets. I haven’t seen much on the Doma side, but the one zone I have been to – the Ruby Sea – is delightful. 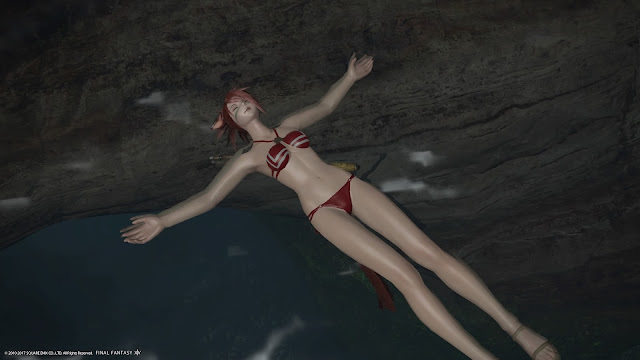 This is where Stormblood’s new swimming mechanic really gets to shine, as it’s basically one big sea dotted with islands, ranging from tropical paradises to giant surface-level corals to an active volcano. Once you unlock the ability to dive, the Ruby Sea opens up even more, giving you a whole underwater paradise to explore. It’s beautiful. As expected, the real star of Stormblood’s new areas is Kugane, the new Japan-inspired city. It’s a strange amalgam of old and new Japan, with the architecture and design sense of the Edo period applied to the towering buildings and busy skyline of modern-day Tokyo or Osaka. 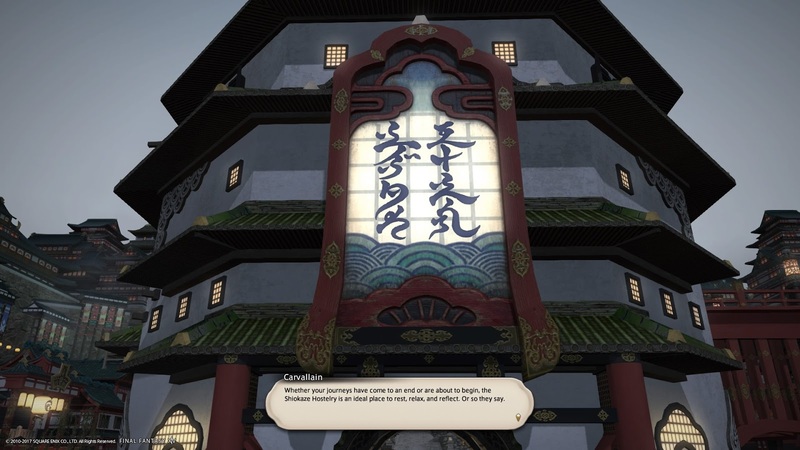 There’s an onsen to bathe in, temples to visit, a bustling main street, even a barracks that’s home to the Shinsengumi-inspired Sekiseigumi – peacekeepers who police Kugane with an iron fist. The city is also overflowing with jumping puzzles, and with some creative platforming can you climb up to almost any rooftop in the city and live out those ninja fantasies. 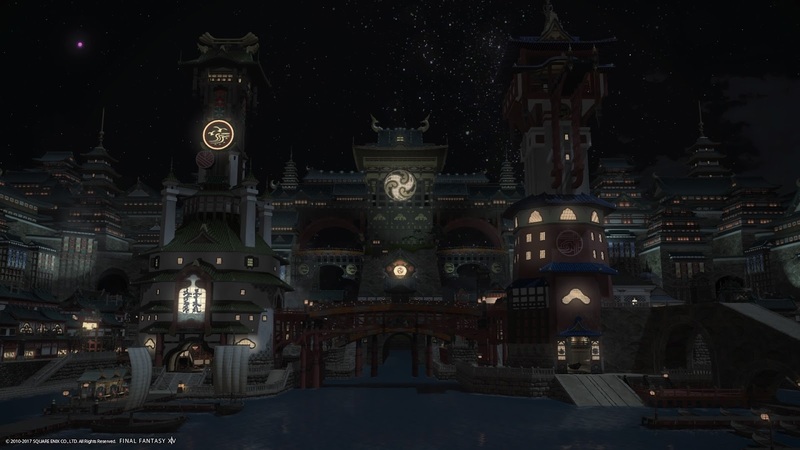 I’ve still got a long way to go in my journeys through Stormblood, but my first forays into the expansion – notwithstanding those early server issues – leave me eagerly looking forward to what else it has in store. Here are a few more screenshots, so you can see why I'm so excited.